Happy New Year – Chinese New Year, that is. Today heralds the Chinese Year of the Sheep and the Babyology baa-rn is full of sheep themed gift ideas for babies born this year. Welcome your little sheep in woollen luxury with newborn knits from Etsy’s Stitches By Sarah. 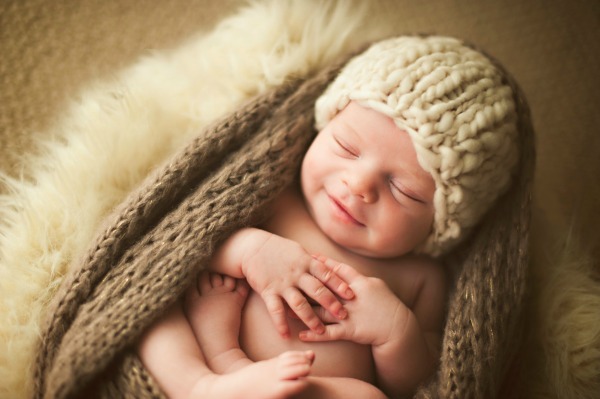 Hand-knitted and stunning in every way, these hats and blankets will keep your new arrival so snug and warm in the cooler months. Plus, as that way-too-adorable image up top from Silver Pennies Photography shows, Sarah’s knits make the perfect trappings and props for those first special photographs. Rocking horses are so last year. This hand carved rocking sheep (pictured at top of post) is upholstered in natural wool fleeces and makes for a fantastic nursery statement piece. Available through Rowen & Wren in the UK for £342 UKP, international shipping is available. The Flatout bear is the ultimate in cute and cuddly, with its oh-so-soft pure sheepskin body. Able to be used as a toy and comforter, the Flatout bear comes in a whole stack of colours for $62 from leading retailers and online. Keep an eye out for the Flatout bunny, a perfect double whammy for an Easter baby. Australian company La De Dah has the most adorable toys for every occasion, so it’s no wonder we love them so. Shannon Sheep is a hand-crocheted toy that is soft to hold but fun to cuddle. Buy it for $60 direct from La De Dah. A timeless classic, you really don’t need an excuse to buy this book but here it is all the same. 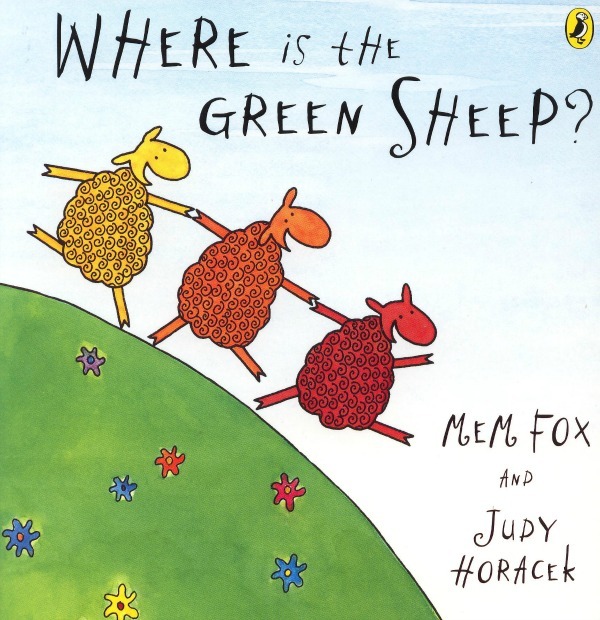 Mem Fox’s Where is the Green Sheep is filled with sleepy rhymes and bright illustrations that will capture the hearts of children from day one. Find it at The Book Depository with free delivery. Let’s mosey on into some nursery decorations now and ‘ewe’ are all sure to be impressed. 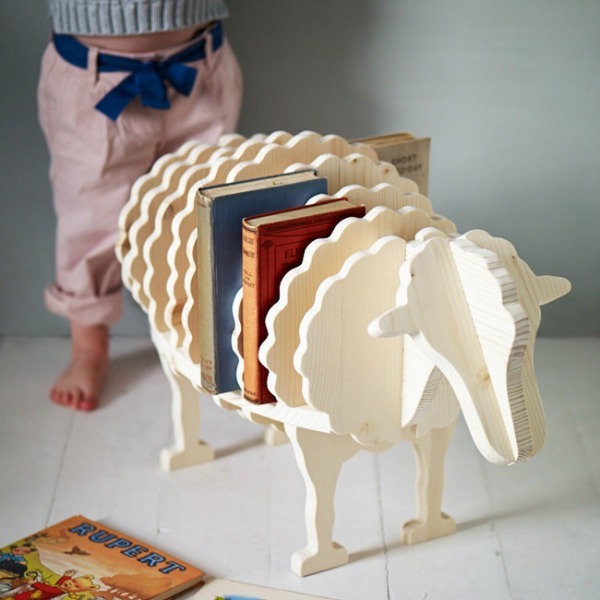 This baa-baa bookshelf is another creative piece from Rowen & Wren. Kids will love choosing their bedtime story from this impressive character. Buy it from Rowen & Wren for £88 UKP. This bookshelf comes in a flatpack and international shipping is available. Sandman approved, this handcrafted Counting Sheep Mobile will help lull your little one into a peaceful sleep. This musical mobile would make a beautiful centrepiece to a newborn nursery. Available from Etsy store, GiftsDevine, these mobiles cost $193. They are made in the US, but do ship to Australia. 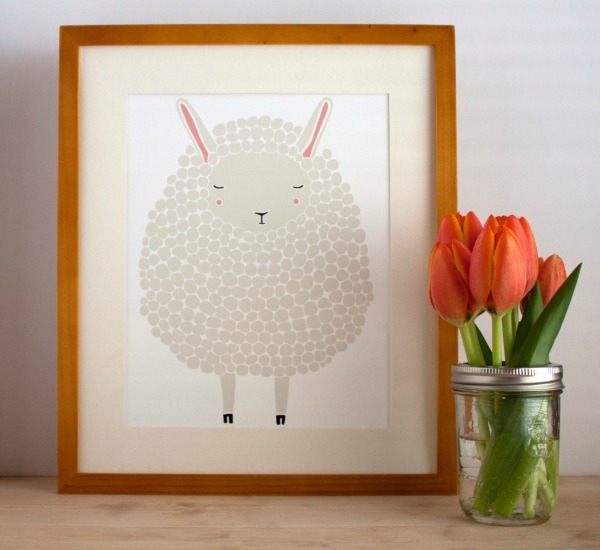 This original Gray Sheep Illustration is the perfect addition to any nursery, regardless of the theme, and a very sweet, subtle way to give a nod to your sheep baby. Buy the unframed print from Etsy store Gingiber for $30. 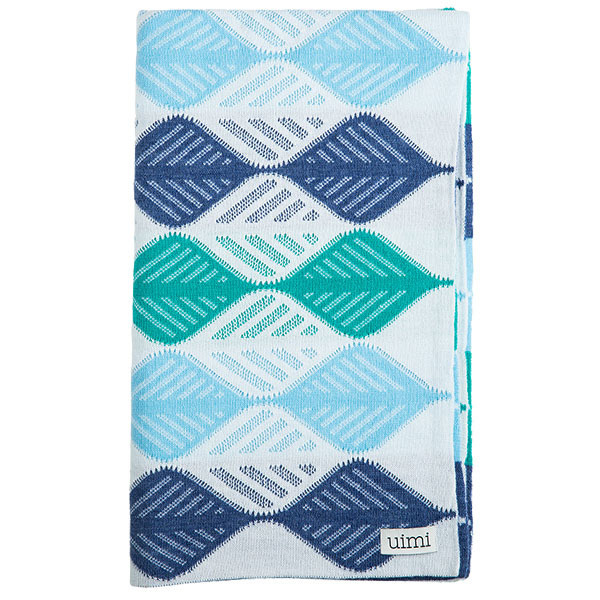 Another Babyology favourite, Uimi can do no wrong when it comes to blankets and all things knitted. There is a huge range of fabulous, modern designs – all proudly created in Australia – but I love this Merino wool Ava kids blanket ($139) best with its double-sided leaves in blues. Find this (and all sorts of other knitted goodness) at Uimi. 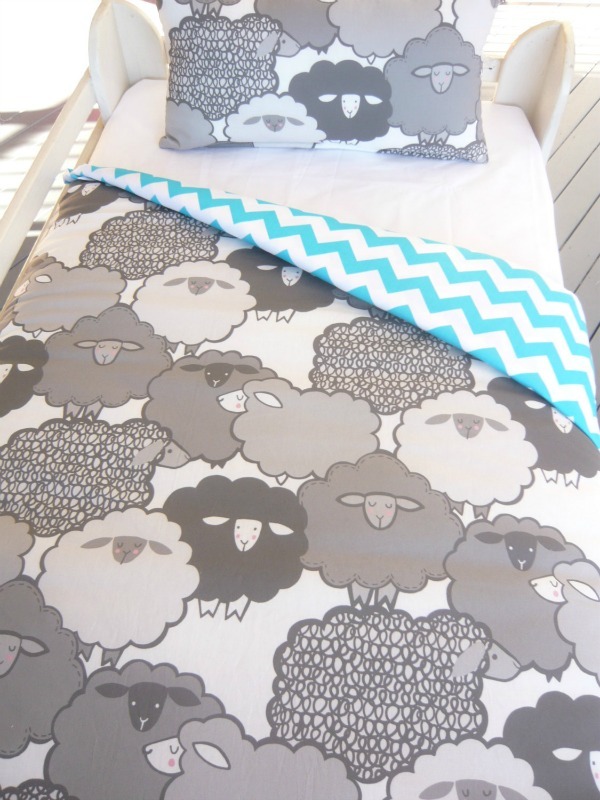 Put your little lamb to bed with a whole flock of their friends with this lovely sheep cot quilt from Mama And Cub. Made to order, the design can be customised with a choice of five different backing fabrics in colours including blue, pink and orange to suit your nursery perfectly. The sheep cot quilt costs $85 and ships worldwide. I think it is safe to say that these knitted uggs are simply irresistible for baby tootsies. 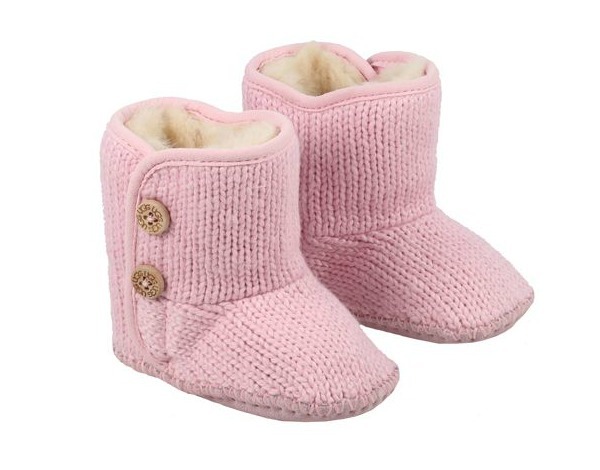 The Purl is an official UGG boot that is available in baby pink, light blue, lilac and ivory and will certainly keep little toes toasty warm when winter hits. The sole is a mix of suede and moulded rubber for slip-free wear. The perfect accessory for 2015’s winter sheep baby, buy them for $60 from the UGG store or online. 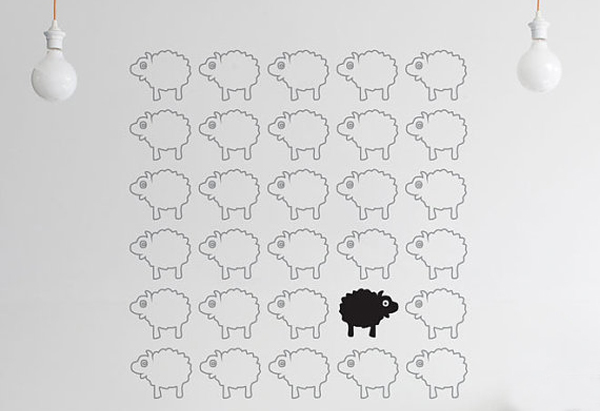 Bah Bah Black Sheep wall stickers from Little Sticker Boy are super modern and make a great backdrop for a cot and this sheep gift wrap kit from Toodles Noodles is the icing on the cake to make a truly memorable Chinese Year of the Sheep gift. 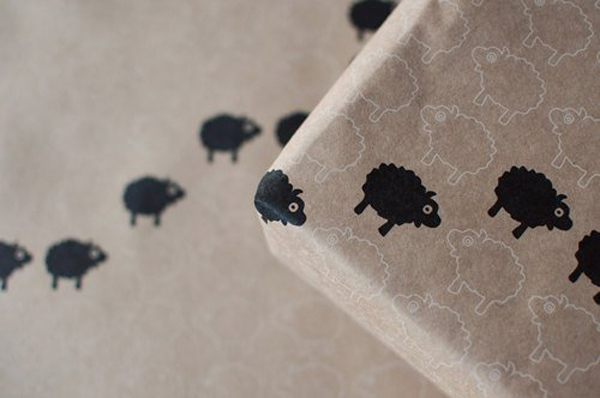 So there you have it, our ultimate guide to special things for your Year of the Sheep baby. Are you expecting a little sheep this year? Leave a comment and tell us when you’re due.